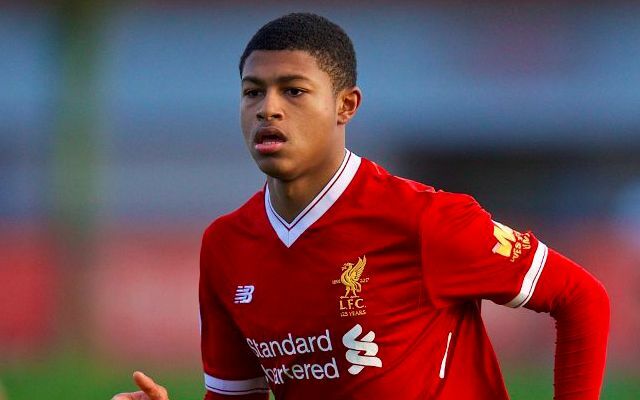 Rhian Brewster has thanked Jurgen Klopp and his Liverpool teammates for their unrelenting support throughout his injury recovery process. The 18-year-old has been sidelined since damaging the ligaments in his ankle whilst on duty for the Reds’ U23s against Manchester City on January 12 2018. Liverpool have since worked cautiously with the striker throughout his rehabilitation following season-ending surgery on the problem. Brewster took a significant step towards his return to full training last month when he was pictured running on a treadmill again after being passed fit to re-start light ball work. Speaking at Liverpool’s Safer Internet Day, the striker shared his appreciation for Klopp and set his sights on a senior debut. Klopp’s high hopes for Brewster evidently played a key role in his decision to sell Dominic Solanke to Bournemouth for £19million in January. There is a mutual belief on Merseyside that the teenager possesses the talent to become a valuable member of the German’s senior plans, potentially from as early as next season. Liverpool’s approach to bolstering their attacking ranks in the summer transfer window could prove an early indication of his first-team prospects ahead of the 2019/2020 campaign.